Length: 4000mm-7000mm, or as your order. Shipment: Within 15-20 working days after receipt of the down payment or Irrevocable L/C sight. Certificate: ISO, SGS, and third part inspection. Capacity: 500 metric tons per month. In aggressive nitric acid 904L has less resistance than molybdenum-free grades such as 304L and 310L. Good resistance to oxidation, but like other highly alloyed grades suffers from structural instability (precipitation of brittle phases such as sigma) at elevated temperatures. 904L should not be used above about 400° C.
Solution Treatment (Annealing) - heat to 1090-1175° C and cool rapidly. This grade cannot be hardened by thermal treatment. 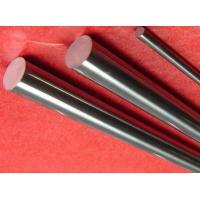 stainless steel square bar; stainless steel flat bar; Stainless steel hexagonal bar. 2:Tableware, cabinet, cutting tool, boiler, auto part. 3:Medical instruments, building materials, food industry. 4:Sea,chemical industry and Machine Manufacture. Mill Test Certificate is supplied with shipment, Third Part Inspection is acceptable.